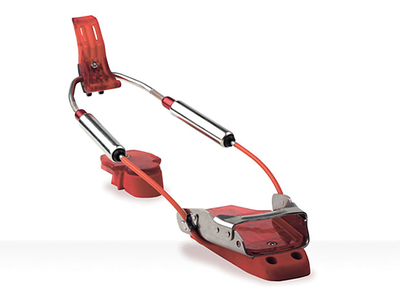 To be fair, these are really the only kind of Tele bindings I’ve ever used. In a way, that’s a good thing as I’ve not been driven to replace them. I’ve now skied on these bindings for about 4 seasons and they are holding up very well. Most of my skiing has been in-bounds at ski areas but there have been quite a few backcountry trips as well. They are strong, light and simple. They are easy to get into and out of. They provide a secure and solid connection between the boot and ski. It would be nice to have a way to lock the bindings down when the skis are not in use. They can be locked down against the heel rest if the bindings are opened up all the way. After getting out of the bindings, I have to pre-set the heal latch, pushing it back just a little more to make it easier to get into the bindings the next time. Again, the above concerns are minor and not even the culmination of them make me want to get different bindings or irritate me to any degree. I would recommend these bindings to anyone. Here’s a little backcountry trip on these bindings… not that you see them ever. This entry is filed under: Blog, Review, Ski, Snow. Just had a ‘throw’ break while getting mounted up one morning… maybe 5 years of 20x/year area skiing. Not happy about this. Seems like a design/material flaw.